The banking industry is evolving at a very rapid pace as companies race to innovate and meet the rapidly changing need of their consumers. Citizens Bank is on the same journey, constantly transforming and improving the way we serve our customers. One of our fundamental strategies in this area is our work instituting Agile principles and methodologies across our business, which an emphasis on the Digital team within our Consumer Bank. Agile, in a traditional sense, is a philosophy for software development that advocates adaptive planning and continual improvement. For Citizens, Agile is part of a customer-centric journey to transform the way technology and business teams operate by reducing the time it takes to complete work. When teams execute work based on the methodology, they are able to reduce errors, deliver faster and improve responsiveness to customer needs. In addition to delivering better work, faster, it is clear in speaking to members of the team that colleagues have an improved experience working together in an Agile way. Because Agile allows for regular check-ins, team members are able to plan work in short bursts of time and get feedback from stakeholders along the way rather than having to wait until the end of the project. This flexibility to continuously improve during the process means teams are able to better address the needs of our customers. “The iterative approach allows our stakeholders to see the work early and frequently and provides the opportunity to make changes based on their feedback. This helps eliminate any big ‘gotchas’ at the end and results in delivering a better product to market,” says Patricia, Online Banking Pod Leader. The other consistent message heard from our team is how Agile helps foster greater teamwork and collaboration. Colleagues enjoy working as a team and feel they have greater ownership and accountability. They also like how working as an Agile team helps them understand each other’s strengths and figure out how to complement weaknesses. The approach also allows colleagues to celebrate small wins along the way and keep motivated. “Agile at Citizens is helping to break down the silos between groups and improve transparency and communication. Seeing teams grow in skill sets, empowerment, productivity, speed and collaboration is an amazing journey. One of the great outcomes is happier colleagues as a result of their contributions and direct impact to delivering valuable software,” says Nelson, Digital Banking Scrum Master/Coach. As evidenced by the Digital team, the early results from working Agile have been consistently successful throughout the organization. “Typically when you introduce anything new, colleagues take a ‘wait and see’ approach. Because the feedback has been so positive on Agile, we get teams proactively reaching out to see how soon they can transition to Agile delivery. 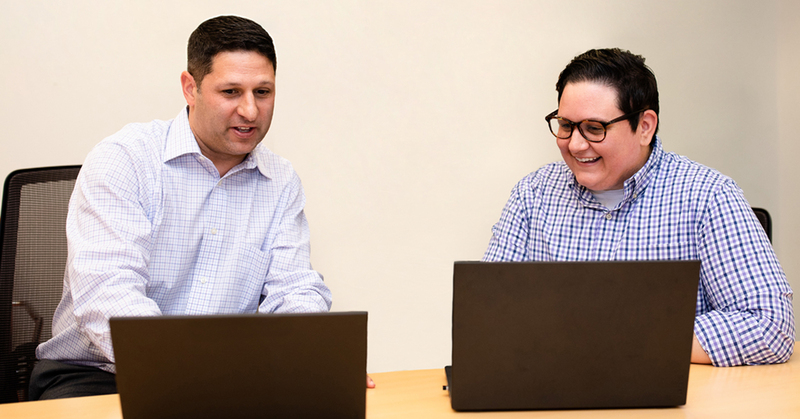 It is great to see the organization embracing change and wanting to be part of it,” says Jodi Viniello, Head of the Citizens Agile Transformation Office. If you think you can thrive as a part of our burgeoning agile environment, consider exploring our digital roles today, such as agile coach and scrum master.